Debra Price M.D., PA is located in South Miami, Florida on the ground floor of Metropolis at Dadeland, across the street from the Courtyard by Marriot Hotel and walking distance from Publix supermarket at Dadeland and Dadeland Mall. The office is less than two miles from Baptist Hospital of Miami and minutes from Pinecrest, Coral Gables and South Miami. The nearest metro station is located at the intersection of Dadeland Blvd and Datran Blvd adjacent to US 1. 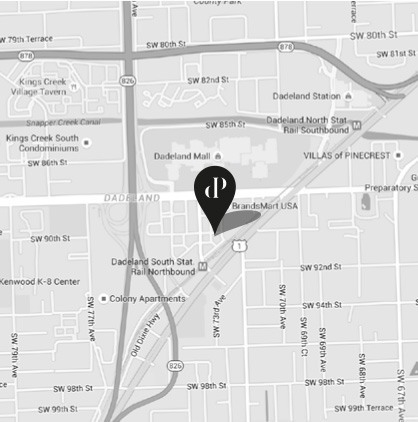 The office is approximately a five minute walk from the metro station. Valet parking is available directly in front of the office. There is also ample parking available in and around the building.